Mom, the Intern: Celebrating womanhood. As a kid, I remember looking forward to making my mom a Mothers' Day gift in school. What would it be? A clay handprint? A scrapbook of some sort? A bouquet of paper flowers? It was always exciting to me. I am an artist at heart and love to express my gratitude to others by creating beauty. I enjoy the whole process -- conceiving the idea, carrying it out, and seeing the happy reaction of the recipients. It never gets old. I don't make clay hands or paper flowers anymore, but I do still love to create beauty. I find joy in decorating my nest for my family. I like to make my house sparkle with cleanliness. I love making delicious food and entertaining guests. I enjoy sitting at the piano with Bubby and improvising on my favorite tunes while she sings along. Oh, and I've created a few beautiful people, too. See? It wasn't until adulthood I learned about the devastating burden of infertility. Some women long to create life (and this desire is part of our nature, I believe), but their hearts are shattered when they learn they can't. Having been blessed to have my own two precious babies, I now understand, at least a little bit, how this trial must hurt to the core. Sometimes, I find myself raising my voice in frustration or wishing I were single and childless again, but I'm quickly humbled as I remember so many of my dearest friends who struggle with infertility. For them, I know Mothers' Day can sting. So today, in addition to motherhood, I wish to celebrate womanhood and our natural ability to create beauty. See, even if our arms are empty, our hearts are full -- full of talent, creativity and compassion. And when these attributes combine, we're a force to be reckoned with. Like the four women from my church who showed up at my home to deliver dinner after I had Smush. I didn't even have to ask; they just did. Wonderful home-cooked meals made with love. Or, the woman who offered to help pay for my Granny's funeral, despite never even meeting her. Or, the women who created a compelling documentary about how school children in Ghana can generate electricity just by playing on a merry-go-round. 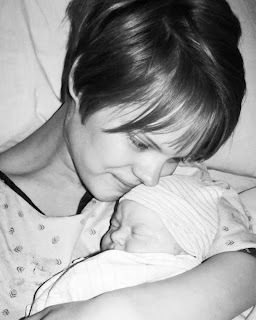 Or the woman who, in the wake of losing her own child, created a site to help other grieving mothers of angel babies. And, what about the woman who willingly and lovingly placed her own flesh and blood in the arms of another woman so she could be a mother? That is what today is about. It's not all about our ability to create human life, although I believe childbearing is sacred, beautiful and worth celebration. For me, it's about womanhood and the angelic, creative divinity within us all. We have the ability to create inspiring beauty of various forms, beauty which touches the lives of others in ways only angels can. And that is what I believe makes us ALL worth celebrating. So, to all of you women out there -- today is your day. I hope it has been beautiful. Beautifully written post! I admit I toolk a flower from church today for being a mom even though I don't have any kids. To womenhood! Love to read your writing. :) It was a beautiful post. Hope you had a happy mother's day! Well said! Happy late Mother's Day to you. :) Oh and I hope you're enjoying your gift for Dillon. :) Lucky Duck! I had chills the whole time reading your post and they just kept coming the more I read. Yeah for women! Perfect, friend. I think the reason I haven't done a Mother's Day post is because I have so many conflicting emotions about it. So many friends that are angel mommas, or infertile (like my sister...it is so painful to watch, and I cringe every single time someone makes an insensitive comment in her presence), or whatever. Thanks for putting into words what I couldn't :). Beautiful post! Thank you so much! This was lovely Jenna. I love it!! Wow Jenna! What a beautiful post. I found your post through Heidi's blog. What a beautiful post. Thank you.